Invisible players? No sound? Crashes? Your problem probably isn't unique and can be fixed in a just few steps. The server you were playing on is blocking your mod from loading. If you play elsewhere, your issue should be resolved. Competitive servers tend to block mods, and depending on the type of mod it is... sometimes it can cause things to go invisible. This didn't fix my problem. This usually means the mod is broken and needs to be updated by the author. You should unsubscribe from the offending mod, and maybe post a comment on the Workshop page to let them know of the problem. If the issue persists, verify game files. 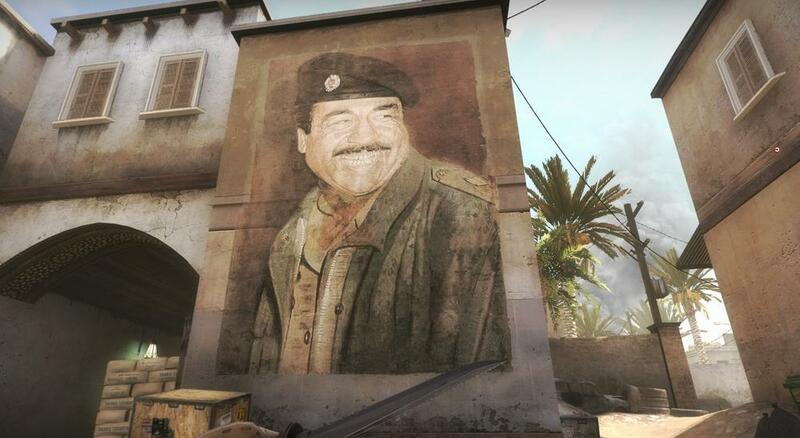 Go to your Game Library, right-click on Insurgency and select Properties. Then select the Local Files tab, and click Verify Integrity of Game Cache at the bottom. It should then notice that your files differ from what they should be, and update accordingly. Do you have any sound mods installed? If so, you need to type snd_restart in the console when you load your first map. VOIP will stop working until the next map loads. So it's best to enter it at the end of the game, when the map vote starts. Is the mic icon appearing when you use your mic key? Insurgency uses the default sound input device selected in your Windows Sound control panel, and sometimes something small like changing the port that it's plugged into (if you're using USB) can confuse Windows and make it no-longer have it selected as the default device. Make sure your mic has the green checkmark in the control panel. Sometimes other games/software (Rocksmith 2014) can change your mic input level, rendering it really quiet to the point where others can't hear you. Verify the level is correct in the Windows Sound Control Panel. That example sets your mic level to 80% volume, 0.5 is 50%, 0.25 is 25%, and so on. SND_RESTART stops VOIP from functioning until the next map loads. It's best to use this command during the voting screen for this reason. Try binding it to a different key in the in-game settings. Take a look at the Voice options in Steam Settings. This is most commonly caused by another input device plugged into your computer. It can be anything from a steering wheel, to a flightstick, or a gamepad. If that doesn't work, unplug any other input devices. Sometimes Steam 'forgets' to update a game. Sometimes an overly aggressive firewall can stop Insurgency from contacting the internet. Windows firewall typically doesn't interfere with the game, it's usually a third party security software that's getting in the way. Sometimes these come pre-installed on your PC, or are bundled by an ISP. If you haven't played in awhile, you may still be opted into the beta branch of Insurgency. Go to your Game Library, right-click on Insurgency and select Properties. Select the Beta tab and verify that the pulldown menu says "NONE". This is usually due to packet loss, which causes your game to lose syncronization with the server. Most of the time, this is due to a poor WiFi connection on your end. Just because YouTube and Netflix are working, that doesn't mean your connection is stable. When it comes to games, dropped packets are a very big deal whereas other services aren't affected by having to resend packets from time to time. Bittorrent can cause desync issues if it's using all of your upload bandwidth. Sometimes other users on the same network can be consuming all your bandwidth and cause connection problems. Most home routers will allow you to throttle their bandwidth if they aren't being considerate. It's not always your fault. In rare cases, a server can be experiencing network interruptions or other problems. In this case there's nothing you can do but play elsewhere. In some modded servers, numbers 5-9 sometimes don't work and these are usually used for third party stuff like Sourcemod admin menus, custom equipment, etc. You can enter these commands one at a time in the console to fix a specific key, or throw them into a .cfg file and execute them all at once. A Custom Server Downloaded Some Sounds / Textures That I Don't Want! Some servers distribute custom content using a method that overrides your other stuff in the game, and you can hear annoying sounds or see other mods follow you when you play elsewhere. Don't worry about deleting something important... if you remove anything you actually need, Steam can easily fix that by verifying the game cache. Consult the NWI Crashing Checklist. From what I've seen recently, most crashes these seem to be caused by mods or the user's Paged Pool Memory setting, or are using a TV as their display monitor (change from 59Hz to 60Hz). Following these steps recommended by Valve should fix the problem. These may be caused by either BE not being installed on your PC or the installation was not successful during your first Insurgency launch procedure. In that case, make sure the game is closed, then go to "..\steamapps\common\insurgency2\BattlEye" and run "Install_BattlEye". In case this service will not install correctly, run "Install_BattlEye" file with Administrator rights and make sure your Antivirus/Antimalware software is not blocking it in any way. Consult User's Manual of your specific AV software for more information about how to whitelist files. If your BE launcher stops the game from launching with message "[INFO] Blocked loading of file..." or your are encountering other BE related issues, please consult these with official BattlEye FAQ page.